Original KISS guitarist Ace Frehley has announced dates for a tour of Australia and New Zealand. 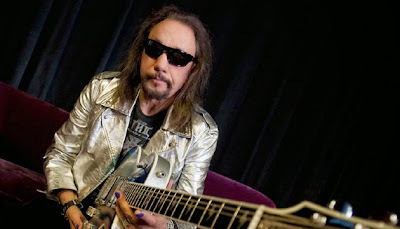 The April/May run marks Frehley’s first Australian shows since 2010 and his first-ever New Zealand solo shows! "I can't wait to get down to New Zealand and Australia with this new lineup,” says Frehley. “I'll be performing Ace classics as well as songs off my new CD 'Space Invader' for the enjoyment of the fans. Let There Be Rock!" Frehley is touring with guitarist Richie Scarlett, bassist Chris Wyse and drummer Scot Coogan. Tickets for the shows go on sale Wednesday, January 28 at 9 AM local time here. Last year, Frehley and the original lineup of KISS were inducted into the 2014 Rock & Roll Hall Of Fame at a ceremony in New York, alongside Nirvana, Peter Gabriel, Hall and Oates, Cat Stevens, Linda Ronstadt, and The E Street Band.